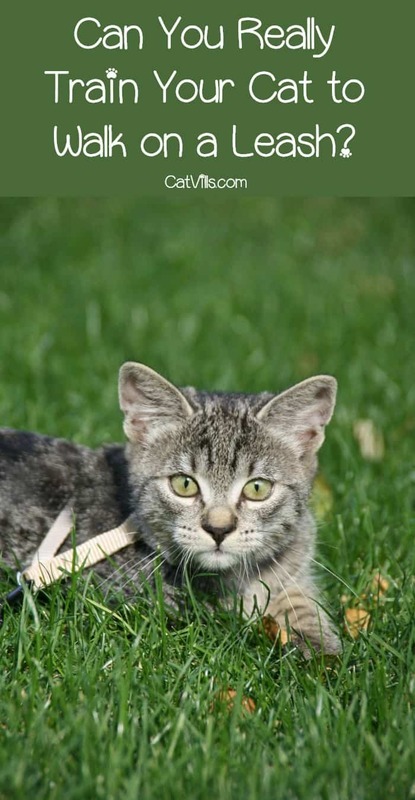 Wondering if leash training a cat is even possible? While it’s definitely more challenging than training a dog, it can be done. Find out how! Leash training a cat may sound impossible. It may sound like one of those things that is so difficult, you’ll only ever see it happen on YouTube and not with your cat. BUT it’s actually doable if you have patience and no how to approach it. Although cats aren’t into pleasing their humans the way dogs are, leash training a cat is still something that can and does work. You’ll just have to remember that training a cat and training a dog are two entirely different, well… animals. So you want to take your cat for walks. It won’t be easy to train him to walk on a leash, but once you get it down, you’ll both be able to get out and enjoy the great outdoors. So let’s look at how to make it happen. Before you do anything, it’s important to know your cat. Unlike dogs, not all cats are easily trained or trainable at all. You can try, but don’t expect miracles if your cat is super aloof and of the attitude that you should be grateful to have him. Another important point to remember is that while many dogs respond to praise as a reward, cats are different. They’re not so interested in making us happy. They’re interested in us making them happy. So have plenty of treats on hand, and train your cat when he is hungry. The fuller his belly gets, the less receptive he is to training. Always use a harness when leash training a cat and walking a cat. Cats are fast, agile, and squirmy. Because of that combo, a collar is not recommended for walking your cat. A cat can squirm out of a leash. In addition, if your cat sees something that freaks him out and he bolts, a collar could strangle him. On top of all of that. collars feel too confining for a cat. Cats don’t feel quite so constrained when the leash is attached to a harness rather than their neck. As I said, cats are not dogs. Most dogs are eager to learn. They want to do what makes us happy. Cats, on the other hand… Well, cats are sort of like the dinosaurs in Jurassic Park. They do what they do. They do what they want, when they want, and that includes training. So have plenty of treats, go slow, and expect to face setbacks. If your cat is in any way receptive to leash training, it will be for the treats , not for you. So have plenty of your cat’s favorite nom noms on hand and train when your cat is hungry. Make sure you give your cat a tiny amount when you reward him. Remember, he’s doing all of it for the treats, if he isn’t hungry, he won’t want the treats, and your training is over. Pick a harness that is snug but not overly tight. You want it to be secure but still comfortable. As soon as you have the harness on your cat, give him a treat. If he takes even one step while wearing the harness, give him a treat. If he pulls the “I’m dead” kitty maneuver and just drops to the floor, immediately take the harness off of him. Do this until he gets used to the harness and will freely walk around in the house. Once your cat is used to the harness, attach the leash. If your cat remains calm, give him a treat. Again, if he takes a step while the leash is on, give him a treat. And again, if he gets squirrely about it, immediately removed the leash. Do this until he is comfortable with both harness and leash. Once your cat tolerates his harness and leash, it’s time to head out. Remember, you’re still in the baby step phase of leash training a cat. Step outside and just stand there. If your cat seems okay, give him a treat. If not, go back inside. 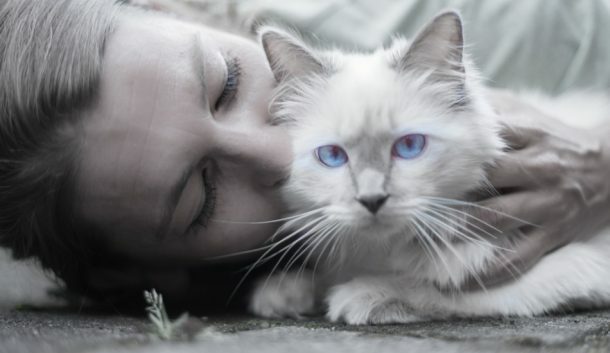 Once your cat is comfortable with being outside, start walking – just short distances. Take him a few feet out into the yard, continuously praising him and giving him treats. Keep repeating this process, walking farther and farther each time. When leash training a cat, it’s important to remember the temperament of your cat and cats in general. Many cats easily freak out, so make sure you walk in areas that have a low amount of animal and vehicle traffic. Don’t be surprised if your cat eventually freaks out on a walk. If that happens, you might have to start from the door again, but don’t give up! Leash training a cat may seem impossible, but it’s only next to impossible. Don’t close the window! I’m only kidding! You can absolutely train your cat to walk on leash, but remember, it will take a considerable amount of time and patience. Leash training a cat is a different beast from leash training a dog. As long as you remember that, and you remember to take it slow, your chances of success are high. Did you successfully leash train your cat? Share your tips and experiences below! I have a Siamese cat that loves to sit in our yard while on a leash & harness. I was thinking about trying to leash train him for walks but the task seemed daunting. Maybe I will at least give it a shot! Hehehe Cats are cute though I really love dogs so much than cats. I have friends with cats and I saw them training stuff for their cat too and its adorable as well. Honestly, I can never imagine a cat on a leash. It’s a little weird to see them “subdued” and “controlled.” On the other hand, it might be cute to see a cat “perfectly tamed” on a leash. Haha I love cats but I know a few that would look at me strangely if I tried to take them out for a walk. I like the idea of a snug but not too tight harness. I have a bunny and got him a harness when he was a baby and he absolutely hated it! I’ve been wanting to try again. I will definitely consider your tips. Thanks for sharing! What?! Never thought about kitten on a leash. But I definitely have seen cats who act like dogs before since they were grew up with dogs. Haha, interesting! This is something I would have never thought of. I know a friend who has a cat who would totally do this though. more a cat person so we had two cats. I can imagine how fun it would have been to walk outside with Prince and Baloo!